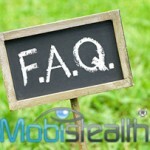 Mobistealth Review – Does Mobistealth Really Work? What Is Mobistealth, and How Does It Work? Mobistealth is a spy software that allows you to monitor your child’s smartphone activity. 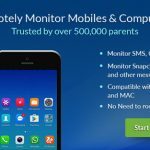 Mobistealth gives you access to the child’s text messages, call logs, GPS locations, and browsing history as well as the ability to record their phone calls. You’ll need access to the child’s phone at least once, to install the software. After you have installed it on a cell phone, you can view the phone’s activity directly from your online account. Mobistealth runs in stealth mode so that your child is unaware that the software is tracking their activities. Mobistealth is a subscription-based service. If you wish to use Mobistealth, you will be required to pay the regular monthly subscription fee. If you are looking for a perpetual, one-time purchase option, then you may consider Highster Mobile Spy. 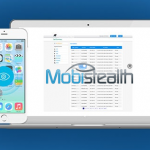 Mobistealth is compatible with Android, iOS, Windows, and MacOS operating systems. Their No-Jailbreak solution allows you to spy on an iPhone or iPad without requiring physical access to the device or installing anything on it. Check to see if your device is compatible before you buy. 1. SMS Logging – Monitor all sent, received, and deleted text (SMS) messages. 2. Appointments Logging – Check all the appointments and calendar entries on your child’s phone. 3. Bookmark Logging – Read their bookmarked websites. 4. Browser History Logging – Monitor the websites visited on your child’s phone. 5. Call History Logging – Monitor incoming and outgoing calls. Get details like contact name, phone number, date and duration. 6. Contact Details – View all saved contacts on their phone. 7. Picture Logging – View photos they have taken with the camera. 8. 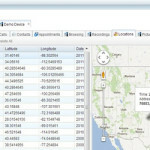 GPS Tracking – See their current phone location on a map as well a history of the phone’s location. 9. 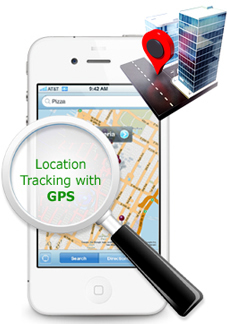 Location Tracking without GPS – Track the phone’s location via SMS. The Pro-X version has all of the features of the Pro version, plus additional features such as keylogger, call recording and email logging. Let’s take a look at the features of Mobistealth Pro-X. 1. Secretly Record Surroundings/Spy Call – It can record the phone’s surroundings with the phone’s microphone, even when the person isn’t talking on the phone. 2. 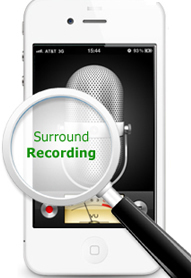 Secretly Record Calls – Record all incoming and outgoing calls. All recordings are uploaded to your online account. 3. Email Logging – Get access to all emails sent and received through their cell phone. 4. Keylogger – Record every single keystroke they make on their phone. 5. Instant Messaging Monitoring – Monitor different instant messaging apps they use and who they talk to, including WhatsApp, Facebook Messenger, Skype, Viber, and Snapchat. With the Pro-X version, not only can you capture keystrokes, but also record phone calls, monitor instant messaging and use the phone as a bugging device to listen live to its surroundings, what is also known as a spy call. Here’s how it works: You install a hidden tracking app to the target phone. The app silently uploads activities to an online account. You can then view activities by logging in from any browser on any device — smartphone, tablet, or PC. The first thing you need to do is to install the app on the phone you want to spy on. 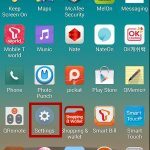 To learn how to install the spy app on Android, follow the instructions in this article. After installation, it runs in stealth mode and it will be 100% undetectable. The phone user won’t even know that it’s already on his/her cell phone. To check out the recorded data, simply login to your online account by using a computer, laptop or tablet device that is connected to the Internet. If you want to know more about how it works, then check out this mobistealth review video. 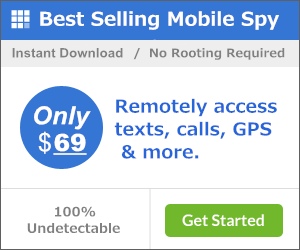 Once you know your device is supported, you can visit this page https://www.mobilestealthreview.com/go/purchase/ to purchase the software. After payment, you will immediately receive software download link and instructions by email. Mobistealth is quick and easy to use. After your order is processed, you will receive a receipt email along with a full instruction manual on how to install the software. After that – you must physically download the software using the web browser of your target phone. When you installed the software, it will now run on stealth mode, and it will never be detected by the phone user. After a few moments, it will start recording the activities on that mobile device. 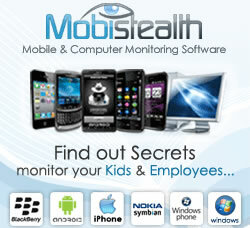 MobiStealth is a cell phone monitoring software that will help you keep a close eye on your child or employee. With it, you can monitor their phone activity, record phone calls and surroundings, and see where they go online. This software has the tools you’ll need to know what’s going on.